What do you do if all of your digestive tests are normal but you still have symptoms like gas, bloating, diarrhea or nausea? We have spoken a lot about SIBO but today I’m very excited to share with you a conversation with one of the leading researchers in SIFO, Small Intestinal Fungal Overgrowth. This discussion with Dr. Satish Rao is one you will not want to miss. If you have questions about SIFO, click here. Dr. Michael Ruscio: Hey, everyone. Welcome to Dr. Ruscio Radio. This is Dr. Ruscio. I am here with Dr. Satish Rao, who is maybe the leading researcher in small intestinal fungal overgrowth. I had read one of his papers, one of the few papers, unfortunately, that’s been published on what I think is an underappreciated clinical entity. And I’ve been wanting to get him on the podcast for awhile. We finally were able to coordinate our schedules. And so Satish is here today to discuss SIBO with us. Satish, thank you so much for taking the time. Dr. Satish Rao: Thank you, Michael. It’s a pleasure to be on your show. And I’m really looking forward to what I am sure will be a most interesting and engaging interaction on this very important topic that I think has been ignored for a long time. DrMR: Completely agreed. And I’m very excited also. And just to orient the audience, in case you’re new to this discussion — I think most people listening have probably heard us talk about small intestinal bacterial overgrowth (SIBO) before. And small intestinal bacterial overgrowth and small intestinal fungal overgrowth (SIFO) have a lot of similarities. To put it loosely, both of these conditions seem to be able to manifest as many of the symptoms that we associate with IBS or irritable bowel syndrome — gas, bloating, belching, perhaps abdominal pain or diarrhea, maybe even constipation. And we’re seeing much more recognition for small intestinal bacterial overgrowth. People are becoming privy to this, ways that they can treat it, ways that they can eat differently or use probiotics or antibiotics or antimicrobials. And it’s something that’s helping a lot of people. But there’s also a subset of people who maybe don’t have small intestinal bacterial overgrowth but still have all the symptoms. And I’ve been suspicious of something else being present that may be non-bacterial. And when I came across your paper, it really kind of connected a lot of dots for me where there could be a small intestinal fungal overgrowth. So that’s a little bit of the orienting conversation. But Satish, can you kind of give, I guess, how you came to find this as an issue and how you discovered this? I’d be curious to hear kind of the inception of this discovery. DrSR: Great, Michael! That’s a great question. So as a gastroenterologist with a big interest in neurogastroenterology and motility, I’ve been seeing patients with unexplained gas, bloating, pain, and diarrhea for a long time. DrSR: Either an endoscopy, colonoscopy, and so on. And yet, there is no explanation for their belly symptoms. So that is the kind of population that I’ve been seeing for many years. So we’ve been exploring with this group, what else is going on? Is there some food intolerance which some of them may have like lactose, for example, intolerance? Or is there infection going on? And one of the standard tests we have done in the past was — and we still do today and still is a good test — is a breath test called glucose breath test. So essentially, patients drink a glucose drink. And then we collect breath samples. And normally, after you drink glucose, the breath samples remain flat. Nothing happens to it because we all absorb glucose. But if, unfortunately, a patient has bacterial overgrowth, that is the SIBO that you referred to, then the bacteria ferments the glucose. And then they produce hydrogen, methane gases which are then absorbed through the gut into the blood, and then through the lungs. You expire that. And you get an abnormal test. And that’s how we were picking up bacterial overgrowth. But there were many patients who were having symptoms suggesting bacterial overgrowth. But the breath test would be negative. So we really wanted to see, is there any other way by which we can identify them? So we then embarked on really doing an endoscopy and procuring juice from the small bowel, from the early part of the small bowel, and culturing this juice for bacteria. Lo and behold, we found a significantly higher number of patients were having a positive amount of bacteria when compared to the breath test. But we also suspected that some of these patients who were negative for bacterial overgrowth may have other reasons for their symptoms. And then we started culturing for fungus in their duodenal juice. And we found significant amounts of fungus in many of those individuals. Having done this initial work — oh, now, I’m talking about really way back in the early 2000s. We then truly wanted to study a large number of these patients over many years, which really led to one of the papers that I know you’re familiar with, which was published eventually in 2013. This was a large series of patients, nearly 124 patients, whom we studied over a period of almost 5 to 10 years. And we cultured their juice from the small bowel. And we found over 62% of them had infection in the small bowel. These are patients who were otherwise healthy. They didn’t have any other infection. They were not running around with fever or strep throat or pneumonia or urinary infection. These are folks otherwise well and healthy but with significant GI symptoms. And when we carefully looked at the proportion, we found that a quarter of these patients had pure SIBO, that is only bacteria. And about 20%, that is one in five patients, had a mix of SIBO and SIFO, that is fungus and bacteria. And another 20% had pure SIFO, which was interesting. This was one of the first papers that we published. But although the paper appeared in 2013 in the press, we originally sent this paper out for publication in 2010. It took us nearly 3 years to publish this work. And it’s largely because the medical community is always very resistant to generally accepting new science and new knowledge very easily. People tend to be skeptics. And I think that was a tough part in convincing our peers. This was published within the top five ranked GI journals. But nonetheless, oh my, it was a tough sell. But nonetheless, that was the beginning of our work. And I hope I’ve given you a little feel for how this work began and how we identify. If you now put these two numbers together, we were really seeing about 40% of our group of patients with otherwise unexplained GI symptoms, we are finding fungal overgrowth in their small bowel. DrMR: And there are so many ways I want to go from there. Firstly, I understand the difficulty of publishing. And unfortunately, it takes a while to sway people’s opinions. But what I come back to when I reflect on just looking at how patients respond to certain treatments, using herbal antibacterials or something like rifaximin, that’s not perfect. It doesn’t work all the time. There are definitely people who don’t seem to fully respond to that, even when you factor out for dietary and lifestyle things that can also contribute or other overt infections that can also contribute. There is still a percentage of people who don’t seem to respond. And so it’s that desire to have a better success rate that drives me to look for other causes and makes me a bit more open-minded to other potential causes. And with the way that you’ve documented this, it’s pretty hard to really resist these concepts. You’ve done an excellent job documenting the overgrowth, correlating that with symptoms, because another point of contention someone could have is, “Well, okay, there is SIFO. But does that actually cause any problems?” And you’ve done a great job in your paper of documenting how that SIFO does correlate with many different gastrointestinal symptoms. And maybe that’s a good transition to some of the top symptoms that you see. I know in your paper you list belching, bloating, indigestion, nausea, diarrhea, and gas as some of the top symptoms that were found in your study. But I guess more from a clinical or experiential perspective, is there a certain presentation that tends to be consistent with this? Or maybe people notice they can’t eat carbohydrates? Some people have said fungus really feeds on carbs. So maybe people don’t do well on fruit or starches. What do you see clinically that helps people hone in on this? DrSR: That’s a great question, Michael. So clinically, it has been a little hard to tease out symptoms and correlate that with either bacterial overgrowth or fungal overgrowth. They do come with these unexplained, as you rightly said, belching and bloating and fullness and gas and nausea symptoms. And when we looked hard and said, “Okay, we know in this large cohort, a proportion of them had these problems as we diagnosed it.” And we looked back and tried to compare those with a diagnosis of SIFO or SIBO with those without that. It was really a little hard to tease out purely based on symptoms. So what we understood from this is that symptoms are very poor predictors of the underlying problem. And that is one reason why I think this diagnosis is hard to make and has been missed by a number of my colleagues. It’s not that they don’t want to help. But they have not thought about it. And they have not put their mind to proceeding and identifying. The test that we’re doing, aspirates, can be done anywhere in the world. It’s nothing magical. It can be done anywhere in the world. All have access to microbiology labs. And we can take the juice in a relatively sterile subject using aseptic precautions. And we can get good information. So symptoms have not been good predictors, but these are the general symptoms that these folks have, unfortunately, bloating. And what I think is important is the other part of the story, which we have not published yet. But we are really getting the data together. After treatment, there is a dramatic change in these symptoms. And these folks feel so much better, which has been quite dramatic to see. DrMR: And that’s one of the other things I wanted to ask you. What I’ve seen regarding SIBO, for example, is there are non-digestive symptoms that improve secondary to improving SIBO. And some of this we’re starting to see appear in the published literature, like improvements in cholesterol, improvements in blood sugar levels. I think there is even some documentation about rosacea or even restless leg improving with the treatment of SIBO. Are you seeing other non-gastrointestinal symptoms improve also? DrSR: Absolutely. That’s a great point. Particularly, what these folks have reported to me is fatigue, which is a very interesting but very non-specific symptom. DrSR: Some folks have also reported improvement in joint pain and discomfort. Some folks have really gotten a lot more energy. They had this significant listlessness. They really had no desire to do anything. They would come home, literally slump on their bed. And they really didn’t know what was hitting them. And so these kinds of symptoms — fatigue, listlessness, headache, energy levels — they have all improved. And these are, of course, outside the GI symptoms. Of course, the GI symptoms have quite dramatically improved in the vast majority of these patients. So that, I think, has been the really nice thing, to really see what has happened to these patients. And we can also look back and speculate a little bit about why it’s happening because SIBO is good, but likewise, we are taking too many antibiotics as well. I think there are two or three reasons why the SIFO is becoming an issue. One is excessive antibiotic usage for various reasons — sometimes good medical reasons, sometimes not so. And that’s another topic for discussion by itself. But the other things we’re doing, really, are things like proton pump inhibitors. We use them for good reason. Folks have pain, reflux disease, or ulcer disease and so on. And we treat. But once we use these drugs chronically over long periods of time, now I think we have changed the gut microbiology significantly. We are exposing the gut for infection because normally, the acid in the stomach would probably get rid of quite a bit of fungus and bacteria. But once you have lowered that acid pool, then I think you’re now exposing the gut for colonization with either bacteria or fungus. And so that’s another reason why, unfortunately, patients are going to be prone for this. And then there are other people. Diabetes is one reason. These are folks — unfortunately, they are at risk for any infection. People who are on drugs that suppress immunity, whether people with inflammatory bowel disease, and so on, and other reasons why. So there are a number of patients who really have these predisposing risk factors. Of course, in our group of patients, mind you, although they were a small number — we are only talking about 10% of our group were diabetics. The vast majority were not immunosuppressed. They had no other reason other than — mind you, 30% or so had PPIs. So there were some with PPIs. And there were some with diabetes. But otherwise, there was no other known risk factor for these guys. So that is what we found in our group. DrMR: And I’m glad you make the note on the PPIs. And in writing the book that I’m currently writing, we did a pretty intensive review of the literature on PPI use and what the data actually shows in terms of symptoms that they cause, and rightfully so. It’s been pretty thoroughly borne out by the research that long term use of PPIs does increase — the most common symptom would be an increased risk for bacterial overgrowth. And I think, conventionally, we may be a little bit too quick to use the PPIs in the long term. In the more alternative or functional medicine camps, people also seem to be highly, highly resistant. And just something I’d like to voice just to give the middle ground there is that if someone does have an ulcer, PPIs have been shown to cause 80 to 90% healing rate in ulcers in just 4 to 8 weeks of administration. So we do have good evidence for the effectiveness of these for certain things like ulcers in the short term. It’s just when we make that transition to using these to manage symptoms in the long term, they really become problematic. DrSR: I think you’ve said it very elegantly. And I think the key is really determining the clinical utility of these drugs in the long-term management of patients with reflux disease and so on. And I’ve always said that reflux disease is not caused by excess acid production. It is caused by acid in the wrong place. If we study these folks with reflux disease, 90% of them have normal levels of acid in their stomach — more than 90%; 95%. But the unfortunate thing is this acid unfortunately moves up into the esophagus, where it shouldn’t be. And then that’s when, regrettably, it causes symptoms and so on. Because we still don’t know how to stop the acid from moving back or, if it does move back, how to effectively clear it from the esophagus, we use the other method, which is, “Hey, why don’t we go ahead and cut this acid production so that even if something does come back up it is not going to be corrosive enough and cause harm?” Which is the method we’ve adopted for the last two decades. And yes, it does work. People feel better on these. But then the next issue really is, well, is there some potential harm in the long term? And I think that is where we probably need to look at other alternatives and other ways by which we can treat some of these patients in the long term. DrMR: Precisely. And that’s where I think diet can be very helpful. Certainly, I know there are a lot of patients I have worked with who have changed their diets. And they see quite a nice response in their reflux. Do you see the same thing where diet is pretty helpful for reflux? DrSR: Indeed. Diet is helpful. Losing weight is going to be very helpful. DrSR: A proper exercise program can be very helpful. But you are absolutely right. Smoking is the other factor, although that is coming down, thankfully in our country and around. But diet is a key, no question about that, in a large number of people. And I think that’s one of the things that most people are resistant to change. We love our food. We love the way we eat it. I know food is one of the most enjoyable things, no question about it. But I think they can still eat and enjoy and have fun, but with the right kind of food. And I think there needs to be a lot more education and help for them. And I agree that those measures are invaluable in the long term, including perhaps sleeping, including the clothes they wear, and timing of doing all of these things. I emphasize that. I do give drugs. But I really emphasize lifestyle measures. Everybody whom I see with reflux disease walks out of my clinic with a handout on these issues that I personally go over. So I think, like you said, it is so critical and important. DrMR: Well, I’m in complete agreement. And one of the things also that I wanted to touch back on a little more deeply was underlying cause. We talked about PPI, of course. We talked a little bit about dysmotility. And that’s an area that we’re learning a lot more about. And we can definitely expand on that if you have thoughts in terms of prokinetics or how that may affect or prevent reoccurrence. But one thing I’d like to get your thoughts on before we do: I know that there is an immune and/or a genetic component that has been posed as a potential causative factor as to why certain people have a hard time regulating fungal growth in the intestines. And I’ve come across some of this research. And some of the either polymorphisms that are looked at or just genetic changes, I guess you could say if it’s not specifically a polymorphism, are things like the Dectin-1 and CARD9. And I know these can alter the ability of the immune system to regulate fungal growth in the gut. And there has been some correlation with these polymorphisms being higher in patients with inflammatory bowel disease. And potentially, it’s because of this lack of being able to regulate fungus that the immune system then starts the immune attack that is foundational in inflammatory bowel disease. So I’m wondering, do you think that there is a component of genetics to this? DrSR: I do believe there is a component of genetics to this because when we expose the same risk factors across the board, not everybody seems to get it. There is something else in some of these individuals that really, regrettably predisposes to them. And so I think there is a genetic factor that we probably need to understand more. I think the first ones, as you mentioned, are the Dectin and the CARD9. But that is just the surface we are scratching. DrSR: I think we really need to learn a lot more. So it’s a combination. It’s the genes. It’s the environmental factors. It’s, unfortunately, some of these folks have been exposed to some medications or what have you, or coexisting dysmotility, metabolic conditions like diabetes that we mentioned, or neurological issues. And another issue that I would bring up, which is really gathering a lot more momentum and understanding in the field, is connective tissue disorders, particularly things like Ehlers-Danlos syndrome. We’re beginning to look at this link between Ehlers-Danlos syndrome and a number of GI dysfunctions. In fact, not many people are still aware that the Ehlers-Danlos, although we recognize it from the skeletal muscle changes — yes, these are the guys who can be the best gymnasts. And they can do all kinds of contortions and so on that are quite nice to watch at a circus. But there are a number of people who have similar dysfunction. And they have major issues with gut motility. And they are, again, at high risk of SIBO and SIFO. So that is the connection. I’m trying to make the connection between what you just mentioned with the genetic factors because that is a genetic problem. DrMR: Absolutely. Absolutely. And with Ehlers, I’m actually treating a patient with that right now. And we’re trying to determine the best plan for her. And something that’s definitely on my radar is the potential for obstruction or prolapse or a motility disorder because of that. So certainly, I agree with you. I think genetic factors are really important. Another thing regarding genetics that I’m reflecting on, and I see this in the clinic: We know in IBS that there tends to be what we might loosely term a hyperactive immune system against their commensal bacteria. And I wonder if this is part of the reason why many patients with IBS do better on a lower-FODMAP diet because it restricts the growth of the microbiota. And if the microbiota is something that the immune system is very easy to react to, perhaps eating a lower-FODMAP diet helps keep in check the thing that the immune system is aggressive to attack. And I wonder if the same holds through with SIFO in why some patients seem to do better on a lower-carb diet compared to other patients thriving on a higher-carb diet. DrSR: Absolutely. I couldn’t agree more. I think that was very nicely summarized by you. We are really at the beginning of this knowledge about the intestinal microbiome immunity both in the gut, which is really the biggest immune organ for the whole body, and how they interact with each other and how a dysfunction can really set in very quickly given the right environment and lead to significant symptoms and problems. Absolutely. DrMR: Now, we touched on diagnosis. And I’m wondering what you foresee in terms of a more accessible form of diagnosis. We can do aspirates from the small intestine. You mentioned stool testing in your paper. And I have a few other thoughts on maybe some blood antibody testing and if there is maybe a future in some sort of breath analysis. But tell us a little bit more about testing. DrSR: Great. So at the present time, really the best objective test is really taking fluid from the small bowel and aspirating it. I know it’s cumbersome. I know it’s invasive and so on. But truly, that is the best diagnostic method. Stool, unfortunately, there is a fair amount of candida that one can see in stool even in healthy individuals, and it is heavily influenced by diet. So it probably is not the best way because one can get a lot of false positive tests. Now, in the future, I’m sure people are actually developing and working on simple capsules that you can ingest. And these capsules have little windows that can be timed so that, let’s say, the window opens after 1 hour of ingesting. And the window opens and samples a little bit of juice every 15 minutes for the next 3 hours or something like that. DrSR: It is brilliant. This is coming. There are already a couple of people who have patented this. And they are really working on modifying this, which I think takes all the pain away. And it would be relatively easy to do. And of course, one group is looking at maybe collecting the capsule. There’s another group that’s even more innovative. You wear a small recorder on your body. And that sample that it’s detecting can actually send that via infrared technology. And it does an analysis. So this is very preliminary. I’m hearing about it. There are some coming up with this great technique because somebody really did contact me and talk to me about, “Hey, can we do a correlational study between your aspirate versus this technology?” I was very intrigued by that. DrSR: I think these are some things that are coming in the pipeline in the future. So I’m sure 2, 3 years from now, we will have simple, relatively non-invasive ways of diagnosing this condition without putting patients through a major endoscopic procedure. But at this point in time, I think, really, endoscopy seems to be the only way. Or one empirically will have to make a decision based on symptoms and whatever information you have and really treat them. DrSR: Giving them a 2- or 3-week course of treatment. I don’t think you’re going to really put them to harm. You just need to be careful because some of the anti-fungal drugs do have some drug-drug interactions. But I think as long as one is careful with that, I really don’t think you’re harming people with a course of treatment. So for the time being, that’s how I think. But there is a great future in simple diagnostics. DrMR: I’m so glad you made the remark about a therapeutic trial or empiric treatment. And just for patients, sometimes what’s easier to do, rather than doing the actual test and then the treatment after the test, sometimes, you can just treat a patient as if they have a condition. And if they respond to the treatment, that reinforces the condition is present. And so that was the next question I wanted to ask you which is, if someone’s having a hard time or doesn’t want to go through the semi-invasive nature of doing an aspirate test, would you just recommend doing a 2-week or so course of a prescription anti-fungal and reevaluating how they do? And so it sounds like you don’t think that’s a bad idea. And I’m generally in agreement with you on that. Most of the anti-fungals seem to be fairly safe. And I do want to get more into treatment in a moment. But before we leave testing, something that I really have very little of an information basis for — it’s more of a theory in my head. And I don’t think we really have good data to answer this question. But would you be inclined to think that, if someone had positive serum candida antibodies, that might hint or increase the probability that one has SIFO? DrSR: You are looking at antibodies against candida? Or what? DrMR: Yes. LabCorp and Quest offer a few different assays for different types of fungal antibodies. And sometimes what I’ll see is a stool test will be negative, but the antibodies will be positive. And I wonder if that might be because there’s not much colonic candida, but there’s enough in the small intestine where that large density of immune cells is to start causing an immune response to it. But that’s just a theory. DrSR: I think so. I don’t think we have done any correlational analysis with our SIFO. It may be an interesting study for us to do. The main concern I have with most antibody tests are, as you know, it tells us someone actively has an infection. DrSR: It tells you that you may have it or you may have had it. DrSR: So whether you have it right now or you had it 10 years ago, it’s not going to differentiate it. It’s just telling us that, “Hey, there has been a response to this infection in your body.” So that is the difficulty I have. But having said that, if we have a high index of suspicion and we want to do something simple, I would probably think it maybe more reliable, an antibody in the blood than the stool one. So if I have to put a stool candida test, a blood antibody test, and maybe the aspirate, of course the aspirate is the gold standard. DrSR: But the blood antibody would be my next best test to help me guide treatment. DrMR: And of course, we can look at the antibody fractions to help give us a time window — IgG versus IgM. So we can try to get a little bit more definitive there. But I agree with you. It’s certainly not a perfect test. DrMR: And you would know the physiology on this way better than I would. But is there any potential for some sort of breath test for the metabolites of candida as there is with the SIBO test? DrSR: I don’t know that yet. I think if I look, the fungus — in fact, I’m not fully conversant with the microbiological aspects of the whole fungus. But fermentation is not an innate process for the fungus. It’s more a bacterial process that leads to fermentation. There are certain types of fungi, I believe, that can cause that. But the vast majority of them don’t. So the breath test route may be a little harder approach, I think. We have to maybe look at some other way by which we can get the candida to truly break down. DrMR: I’m very excited for the future of the capsule test because that just sounds like a brilliant idea. And hopefully, that will be shown to be accurate and also be somewhat financially non-restrictive. And that would be terrific if that’s something that could be routinely done as easily as a SIBO breath test. DrSR: There’s a lot of this capsule technology coming out, I think, in the next few years which I think really will change our gastroenterology approach to a number of these disorders. I think it’s going to be much more patient-friendly. People can do things at home if required. They can come here, take the test, and do it when it’s convenient for them. And that probably will be the way forward for us. But I’m very, very excited about this capsule technology, this little window opening and capturing sampling. It’s absolutely thrilling. DrMR: Yeah, whoever had that idea was just brilliant. So kudos to them. And I’ll excitedly await the release of that. SIFO TreatmentLet’s transition to treatment options. Of course, there are a number of prescription anti-fungals. And I’d love to get your take on which ones you think work better than others. But before we jump into that, I’m curious what your thoughts on herbal medicines are. And I use a lot of the herbal antimicrobials in my practice. And I was very happy when I saw the paper published by Jerry Mullins that looked at kind of a comparison of herbal antimicrobials next to rifaximin for treating SIBO. And yes, it wasn’t a perfect study design. But it at least showed us that the herbs can be on par with the pharmaceuticals in terms of effectiveness, which I think was welcome news to a lot of providers and also to a lot of patients in case they have any trepidation with using a prescription even though I do think that the prescription rifixamin (Xifaxan), and some of the anti-fungals are fairly safe. There are a lot of patients who still have a lot of visceral response, not wanting to use antibiotics unless they totally have to. And they like the herbal options. And in my mind, herbs have been favored because many of them are both antifungal and antibacterial. And so if we’re treating someone for SIBO and we don’t really know if they have SIFO, I like the herbs because many of them also act as antifungal agents. But I’m curious to see what your thoughts are on the herbal potential and then also what some of your preferred pharmaceutical antifungals are. DrSR: So with regards to the herbs, I have very little experience. And I’m going to be the first one to admit it. And I need to learn a lot more. I’ve had patients who requested this for me. And I think we did, in at two or three instances, I have done some research for them and have recommended that. I can’t even remember what those names are because I’m not practicing those on a regular basis. DrSR: But as you rightly said, Mullin’s paper looked into that. And there are a couple of others more anecdotally that have been reported. The main thing that we lack, of course, is good control studies to guide us regarding the potential efficacy and safety and so on. But I really think they are harmless in large part. I agree with you. And I also agree with you that they may be more broad spectrum, unlike the antibiotics or antifungals, which are really pretty focused in their spectrum of effect. So I think that way. But I don’t know. You may want to tell me from your experience. Does it take longer for the symptoms to resolve? I just don’t know. I wonder if that is one of the things. And one has to be more patient when using these herbals because it’s not like you see dramatic changes within a week or 10 days like we usually tend to see with the regular antifungals. What has been your experience? DrMR: Yes, there’s definitely a trade off. The herbs tend to take a little bit longer to work. But then again, the herbs also have some other side benefits. For example, oil of oregano has some anti-depressant effects. Berberine has been shown to be as effective as metformin in lowering and controlling blood sugar. Something like artemisinin has been shown to be able to induce remission in inflammatory bowel disease in a few randomized control trials. So what I tell my patients is there’s a pro/con here. And we kind of talk through them. And it’s really, in my mind, the patient’s decision as long as there’s nothing that would be clinically dangerous. As long as they’re a viable candidate for either option, we go through the pros/cons. And quickly again, the pros to the herbals are they may be a little bit safer. They tend to have side benefits instead of side effects. And they are broad spectrum. The cons are if you have insurance coverage for a medication, oftentimes, you’re not going to get insurance coverage for an herb unless you have some sort of health savings account card. And they take a little bit longer. And it’s more pills to pop. Where you may take a few capsules of rifaximin, you may have to take 10 capsules of herbs because they’re just not quite as concentrated. So there is a little bit of a pro/con there. And I have that dialogue with every patient. And we make the decision together. One other thing that I have noticed is that if a patient is very, very reactive and they tend to have an intolerance-type reaction to many foods and many supplements and many drugs, then sometimes the drugs are actually better because there are fewer ingredients in there for someone to react to, whereas herbs have many different components. And oftentimes, the herbs may have a few different ingredients in them. So that’s something else to be cognizant of. DrSR: Right. I think that often is the issue. The other issue that I’ve found with the herbs, really, is one of quality control. And I’m sure, either through experience or proper investigation, one can find out. But there are so many of them out there. So many people are making the same product whether it’s oregano, berberine. And it’s so hard to know which is a good company in quality. Everybody claims that they are the best. But I just don’t know that because there is no quality control. So that’s the only worry part against this kind of drugs. So it is definitely important having the quality control. It’s definitely something to be cognizant of. DrSR: Oh, yeah. Very interesting. When I was in Argentina and walking through a virgin olive oil factory, we learned the same things. Not all virgin olive oils are the same. There is a significant difference. And we take it for granted. We walk into any store and pick up the stuff. But it was an eye opener for me to actually learn how different they can be. DrMR: This is true. So coming to the pharmaceuticals now, there are a couple different options. What do you think are some of the better options for people regarding the pharmaceuticals? DrSR: So for the pharmaceuticals, typically because it’s the small bowel we’re dealing with, we need a compound that’s going to be relatively intact in getting there. So fluconazole is really my top choice drug because generally it’s very sensitive to candida or the candida cousins that we’ve picked up. And I usually treat them for 3 weeks, not 1 week, not 10 days or 2 weeks. I treat them longer, one pill a day. And I find that gives very good results for me. Either if patients are not tolerating it or our patients have tried it and it’s not working, then I may switch them to another compound such as itraconazole or even posaconazole, which I’ve done rarely. But I’ve done those two as the alternative ones to fluconazole. DrMR: Were you saying you give one capsule a day for 2 weeks? DrSR: One capsule a day for 3 weeks. DrMR: And is there a certain dose of that capsule? DrSR: So just 100 mg once a day for 3 weeks is what I’ve really done. And I think I find that for the vast majority, really, that seems to do it. But I do have to repeat it in some folks. I have a very challenging group of patients. And there are some who have recurrent bacterial overgrowth and fungal overgrowth. So I essentially put them on cyclical courses of antibiotics and antifungals. And many of them have underlying motility problems — scleroderma or Ehlers-Danlos syndrome or a combination, pseudo-obstruction syndromes and so on. So they really need to be on it. And that’s the only way we can keep them going and keep the symptoms at bay and give them a good quality life. And so that’s what they have to do. So that is usually where I go with my standard drug treatment. DrMR: Okay, so I’m glad you said that about the cyclical because that’s the same approach that I fall into, more so with the herbals because that’s what I use more so in my clinic. But for some patients, we have to kind of put them on cyclical herbal antimicrobials to keep their symptoms at bay. And it does tend to work well for those more progressed cases. A question I have for you about that — prokinetics, some are more powerful than others. It seems the more powerful they get, the more long-term side effects might be an issue. In a long term application, what do you think — and I know it’s hard to give a general answer, but if you can, as best you can — is safer in the long term? Using a long-term prokinetic to try to keep symptoms at bay? Or using a long-term cyclical antibiotic or antimicrobial intervention? DrSR: I have generally not given a lot of prokinetics actually because we don’t have many. We don’t have virtually any options in the U.S. Obviously, if you’re practicing outside, whether it’s Mexico, Canada, Europe, India, wherever, I think there are much better options for us. So currently, we only have things like metoclopramide, erythromycin. And that’s it. And domperidone with some difficulty. So the other drugs in other countries like itopride or cisapride or tegaserod or prucalopride — those options are really not available to us unless some patients are willing to go purchase it. Then I think I would encourage them to do so. So I have preferred giving them cyclical antibiotics as opposed to giving them prokinetics. Having said that, there will be a small group of people who I have given them a combination of both. It’s a very small dose. I would maybe tend to give them it late in the evening or so in addition to the antibiotics they take. So that’s the way we really manage some of the very difficult, challenging ones. DrMR: Well, it’s nice to know that we’re kind of in agreement with our respective methods of treatment in how we’re favoring an antimicrobial approach over a prokinetic approach. I definitely agree with you there. Now, what about nystatin? It’s another popular antifungal. It has limited absorption, if any, from the GI tract, so maybe it’s kind of similar to rifaximin in that regard. I’m not sure how bile solvent it is. But is that something that’s ever a consideration? Or have you found that not really to work or what? DrSR: No, I think nystatin I use mostly for oral and oropharyngeal and esophageal. My concern with nystatin really is whether it will deliver it safely into the small bowel. That has been my big concern with nystatin. So how effectively will it reach the small bowel or whether it gets all broken down at the stomach — that has been my big concern with nystatin. DrSR: So it’s much more oropharyngeal or esophageal. And I use it a lot in all of my esophageal candidiasis. In fact, that’s often my first drug rather than fluconazole. It has much more topical effect, as you know. And I think it’s a preferred approach like rifaximin because it works locally. But I think that it just breaks down in the stomach or by the stomach acid. And it doesn’t get down into the small bowel whereas fluconazole will. So I think that’s why I prefer not to use nystatin. But having said that, there are a few people who are allergic to fluconazole. And I have given them nystatin. And anecdotally, some have gotten better. So some of it probably will get down, I think. But that’s my concern. DrMR: Gotcha. Okay. And then one final question regarding treatment — I’m assuming at some point you’ve paired rifaximin with fluconazole when you have a case of dual-presenting SIBO and SIFO. But perhaps there is some contraindication there or reactions that happen when you co-administer these. So what’s your experience with using these two together? DrSR: So yes, I think in my group with mixed SIBO and SIFO, I would like to give them both. But the way I’ve done that is typically I’m giving antibodies, whether it’s rifaximin, or I’m giving amoxicillin, or any of the drugs. Usually, I treat them for 2 weeks. So the way I’ve done this is for the first week, they just get the antibiotic. The second week, they will overlap the antibiotic with the antifungal. And then they go on for another 2 weeks with the anti-fungal alone. And I’ve done that deliberately because I felt that, yes, they already have some SIBO and SIFO. But if I only give the antibiotic, they are more likely to get more SIFO now because the antibiotic will increase the risk of SIFO. And I want them to have the benefit of treatment of antibiotic-induced SIFO as well. And that’s why I do it in this fashion. So that’s the approach that I’ve used in managing either co-infections. So 1 week of pure antibiotic, 1 week of overlap, and then maybe 1 to 2 weeks of pure antifungal. DrMR: That’s smart. I think I’m going to steal that from you, if you don’t mind. DrSR: No, no. Absolutely. This is all for us to help our patients. And I think that’s what we are here for. We are there to actually help. DrMR: A very intelligent rationale behind that. I really like that. What about probiotics? Do you ever use probiotics along with any of these? DrSR: That’s a great question. So I use probiotics. I primarily use it in folks with diarrhea. That’s the group I think really benefits from this because their flora has all been messed up. Either they have very little or none. Or what is there is all altered. And dysbiosis is probably the right word for that condition. And therefore, I will give them probiotics with the hope of restoring their flora. And yes, in that situation, I’ve done that. I haven’t given probiotics for my SIBO or SIFO patients at all because I’m actually concerned that I may inadvertently colonize the bacteria from the probiotic in their proximal gut. The purpose, of course, is to get the probiotic into the colon. That’s where we want it to work. But if that probiotic inadvertently colonizes the upper gut, I think that plays mischief again. So that’s what I’m trying to avoid. DrMR: Sure. And I think there are a lot of unanswered questions there from a mechanistic perspective. I think the majority of papers have commented that probiotics don’t seem to colonize you. And a few weeks after discontinuing a probiotic, evidence in the stool disappears. However, other papers have theorized that we have a greater chance for a probiotic to actually colonize in the small intestine because of the lower bacterial density when compared to the large intestine. So I think there are still definitely some unanswered questions there. I always come back to looking at the clinical literature in terms of probably the best studies we have are with probiotics and IBS and using those to help guide decision-making. DrSR: Yeah, I think that seems very good. That’s why I use it. And I use it also following C. diff. infections and so on. DrSR: After I treated them, I used that same thing. So I use it in selected conditions, but wisely. I think the problem many times is people think that probiotic is like another multivitamin pill. It’s not. It’s not. And that’s the important point. It has to be used carefully, thoughtfully, appropriately. And I think that’s where it has a place. Satish, this has been a fantastic call. Before we wrap things up, is there a website or anywhere, if people wanted to get more information from you, where they could track you down? DrSR: I think the only website will be Augusta University Medical Center Digestive Health Center. DrSR: And we have a good website that provides a fair amount of information about some of the things we do, about our neurogastrenterology/motility program. And people can learn about it. And we’ll be happy to share that information. They can always email me at SRao@Augusta.edu, which is our standard, official email. And I’m happy to take any questions and answer them through that. DrMR: Awesome. Well, Satish, thank you again so much for this conversation and also for the work that you’re doing because I know, as you said earlier, sometimes it must feel like you’re fighting an uphill battle trying to get the slow-to-change medical establishment to accept this new work. But I think the work you’re doing is incredibly important. So on behalf of me and I’m sure everyone listening, thank you so much for what you’ve been doing. DrSR: Thank you very much, Michael, for having me on the show. This was terrific talking to you. And I think I’ve learned so much from you, just as much as I’ve shared with you because it’s nice to jive with people with cognitively think and approach practical and pragmatic ways of helping our patients. And it’s nice to speak to somebody like that. So I really enjoyed this conversation. DrMR: Well, thank you. Absolutely the same on this end. And until the next time, thank you again. Keep fighting the good fight. And everyone listening, thank you for your attention. DrSR: Thank you, Michael. Goodbye. My daughter and I have been trying Atrantil for suspected methane induced SIBO and it is really helping my daughter. With me, I have a more complicated set of issues and I’m not sure yet. Is Atrantil your supplement of choice to try for SIFO? I noticed you mentioned Artemisinin, is that one you use? This podcast was great! I think I am suffering from SIFO. I have tested numerous times for SIBO negative but still have all of these symptoms. I also love the mention of a simple approach of trying the treatment and not preforming the testing. Good stuff! I took Rifaximin and felt better for the first week but then felt worse during the second week and even worse after I ended. Does this mean I have SIFO that rebounded from the Rifaximin? Hi Dr, you are a gastro rockstar, i suspect of SIFO because i had to to took clindamycine for 40 days for an infection and suddenly all my IBS stuff got worse and also an allergy appears at day number 4 of the antibiotics. Invite you to Machu Pichu, congrats and thanks for all your work ! Glad this was helpful! Looking forward to seeing Machu Pichu one day! You both mention using cyclical treatment for resistant cases that keep recurring. How do you do that? Do you use a full dose or a reduced dose? For how long? How often? I can’t speak for Dr. Rao but I do this on a case by case basis, always shooting for the minimum needed. No tests for SIFO as of yet. I have speculated that antibodies may indicate SIFO but there is zero data to support that. A good clinician should be able to sort this out. If you are in need of help reach out to my office and we can figure this out together. Hope this helps! Good morning Dr, thank you for posting this talk, very interesting. I have been suffering with bile reflux and occasional heartburn. I had both normal glucose hudrogen and lactulose hydrogen/methane breath tests. Also the GI effects stool test showed no inflammation, parasites, low bifidobacterium and butyrate. I also am on a very limited diet (carbs/fodmap). I have obsessed over SIBO but it seems I don’t have it; could someone with these issues have SIFO? I live in NY so I can’t meet in person but do you do Skype consultations? Thank you for your time. Yes, we can set up a Skype consult and look into this. http://www.drruscio.com/gethelp. Ive suffered with gastro symptoms for 2 years now. Went from Doc to Doc until I was turned onto the Low FodMap diet which was life changing BTW. But even after a year of the diet im still suffering which is when I learned about SIBO. I had my gastro doc run a stool sample test and blood test both ran negative for SIBO. But after learning about SIFO it seems like these more match my symptoms and it just wont go away. Thank you for this great info but im now looking at cycling Amox and Flucon. Its just tough to find a doctor or gastro doc to be on board or that even knows what SIFO is. I would like to know what are the long term effects of SIBO/SIFO. I was undiagnosed for over a year. So lucky that it did not get in my blood stream. I loved this discussion. I’ve dealt with Sibo for over 5 years now and it’s very very frustrating. This discussion gave me hope. But I need help now. I have Sibo-c with motility issues. Xifaxan works for a couple weeks then symptoms return. Many doctors and thousands of dollars later, same boat. Drs Rao and Ruscio: what do you recommend to replace fluconazole for someone with IBS-D aznd is unable to give up Loperamide? My doctor does not dare give me fluconazole while I am on Loperamide. how did you treat these patients? My IBS-D worsened after using bacterial probiotics after a course of Xifaxan. Additional courses of xifaxan did not relieve any of the symptoms brain fog, horribly increased gas pain bloating and physical collapse. The only way to control it is greatly restricting my carb intake to small amounts of millet. I have tried other low FODmap foods without relief. Potato and buckwheat both flatten me immediately. A gruel of millet flour does the same while whole millet does not but then the whole passes through me hardly digested. Great question Jen, I’v added to the list for a future listener question podcast, too much to speak to here. a friend of mine had the so called “gold standard” method (taking fluid from the small bowel and aspirating it) for diagnosing SIBO in January. 2017. Small intestine aspirate:: Enterobacteriaceae: > 100’000 KB/ ml , no bacteria growth anaerob. Another examination was just done.. Does this mean that it was “only” SIBO in January and now SIBO AND SIFO ? Thank you so much in advance for your answer. We addressed this in the interview, Fluconazole is likely the best choice for SIFO. Hope this helps! I love your podcasts with Dr Rao. I love the interchange of natural vs western. I do believe if natural medicine companies would give $$ for research Academia would use them too. I am a western science girl and get greatly helped that way but love the coming together of all the doctors in the SIBO world. Keep it up. Since Dr Rao is one of my doctors I am so proud of himself for doing this and do let him know. I have encouraged him to do more. For me the greatest would be Rao ,Pimentel also my dr, Siebecker and you in one room together ha try to pull that off. We could raise some serious research money. Thanks for your hard work. 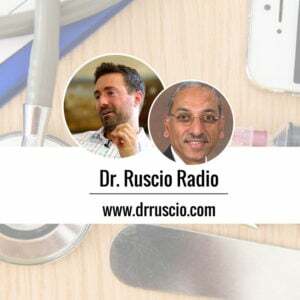 I love your podcasts and especially love them with the top western doctors in the world that interface with natural med docs also and how you learn from each other for the betterment of your patients.I see many patients who are not tested and feel they. have acid issues and prevent methane from going away by taking the wrong supplements. that would be a great podcast with Natural and western. Rao or Rezaie or Pimentel and you. I’ve heard the speculation that HCl feeds methane but haven’t seen any solid evidence. All eyes/ears if you have a reference. I’ve had recurrent SIBO which comes back every six months or so. It responds well to Xifaxan. SIBO was confirmed with hydrogen/methane lactulose breath testing before treatment and response was confirmed clinically and by post-treatment breath testing. Since it is too expensive to always use breath testing pre and post treatment, we have recently treated based on the established symptom pattern. After about 4 cycles of treatment followed by relapse months later we ran into what seemed like combined SIBO + SIFO and treated with the protocol described in this podcast – 2 weeks of Xifaxan overlapped by one week with 3 weeks of Fluconazole. I had partial relief during the Xifaxan phase but didn’t get real relief until well into the Fluconazole phase which seemed to do the trick. The problem is that 2 to 3 weeks after treatment ended the symptoms were back as bad as ever. My GI said that I may need to stay on cyclic Xifaxan treatment one week a month. This seems to leave the question of SIFO unanswered. She is reluctant to use Fluconazole again long term due to concerns about liver toxicity (though I have no overt liver disease). I just completed a week of Xifaxan and it is not working. This seems to confirm the suspicion of fungal overgrowth. What are the best options going froward? 1. If you are cycling herbal anti-fungals, which do you use and in what dosage? Do you combine them or cycle them individually? 2. How frequently do you encounter acquired resistance to Xifaxan and Fluconazole? Would that be a good explanation of such quick recurrence after 3 weeks of Fluconazole? Are the other drugs mentioned similar in liver toxicity risk? Do they have different fungal coverage? Thanks for the great info. Keep up the good work. Nice to hear from you! Lot here to comment on. 1. I don’t think the details here make a huge difference. Keep in mind many herbals are both anti-fugal and bacterial. I have many different formulas I use but my coming book has protocol specifics. 2. Not often. Hard to answer here 3x. 3. Candida is often used as a catch all, there are many strains of fungus in GI. On the fact that Dr. Rao mentioned not using probiotics for those with SIFO and SIBO, many things online (from legitimate and non-legitimate sources) claim probiotics (Whether supplemental or from foods) are crucial for getting over and preventing recurrence of SIBO or SIFO. In your long practicing history, Would you say you lean one way or the other? If it is a mixed bag and patient based, would you say the majority of your patients fall one way or the other?